Advances in technology, penetration of smart phones and access to the internet are playing a remarkable role in empowering scalable access to information across the world. Our globe has been progressing rapidly over the past few decades due to the earnest beginning of Google search, Facebook, Twitter, You Tube, LinkedIn, Google Drive/Docs, PowerPoint and similar social media forums. It is foreseeable that smartphones is reshaping the future. Access to information (which could cater around various categories i.e. information related to company, products and services) has become progressive and universal that is why enterprises have begun investing in Information Technology (IT) which is productive, efficient and powerful. We exist in a social age which is about repetitive learning and eagerness to question everything. The new age has moved from building the IQ and EQ to improving the Curiosity Quotient. Our willingness to learn and share success stories and share the stories of failure will help us drive a greater change. Technology alone is not a sole motivator to move the needle. It is about being curious and persistently seek for answers from the environment, friends, colleagues, seniors and juniors that drives the change consumers are seeking for and technology will continue to be able to do so. Information and data provide much knowledge to people which are required for customers to be aware. Experiences on the other hand become very important. People interact more frequently as compared to machines but nevertheless machine is soon to become the sole proprietor for the communication channel. For many organizations their customers are in the form of B2B or B2C i.e. business to business or business to consumer. In both the scenario an organization needs to set its foot in the social channel. 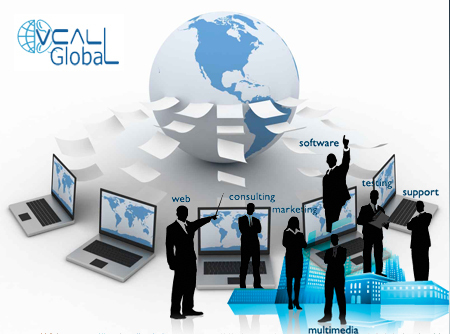 However implementation of technology is also equally necessary for the organization to strategize their business. To understand how the IT fits into the bigger picture of business that is when there is a need of IT training. Every organization that plays a role with researching and implementing technology should have a firm grasp on evolving technologies and how they serve the larger businesses and this is done to ensure that the technology is used at the best strategic advantage for the company. Every now and then a new application is released that is meant to simplify the business processes and at the same time simplifying the lives of consumers. It can be overwhelming if the organizations are not aware of higher-level trend of technology and their impact on organizations. Training is especially useful for organization as they become familiar with the online trends such podcasts, blogs, RSS feeds, wikis etc. and as well the trends of how the prospects and other business houses use the internet for communication. It is evident in the coming future these technologies will impact the business strategy and sooner or later businesses have to consider the technology as an important implementation. Managers must be proactive by keeping themselves abreast with the emerging trends and comprehend them not only from a technical standpoint but also assessing them from a strategic standpoint. IT training emphasizes especially on emerging trends and ways in which they impact the businesses. This knowledge is necessary to make informed decisions on new aspect of technologies that will affect your company in the coming years and transit your thought process into strategic action and implementation. Information sharing and collaboration within and outside the organization are two aspects that make immense strides and IT training becomes all the more important for your company especially when it comes to harness and improve the strategy for businesses. Oversized companies often struggle with adapting to new business models and strategies due to the lag that comes from modification of any integrated system. This is where the importance of technology from a manager’s perspective comes to play. Social Media forums such as Facebook, Twitter, Myspace, Plaxo has become ubiquitous in businesses. Connections between social networking websites and databases will be more important to enable the constituencies to communicate both collaboratively and cooperatively. For instance email has become a primary source of communication between organizations and its counterparts, in the very similar fashion social networking sites is used as a medium for communication with clients. Other elements of strategy and the impact of the organization cannot be measured without it. Why Do Online Businesses Need Live Chat For Their Website? How Can Data Analytics Help Businesses Serve their Customers Better?